This Triple Diamond Cable cushion cover uses a simple cable to create a wonderful textured effect. 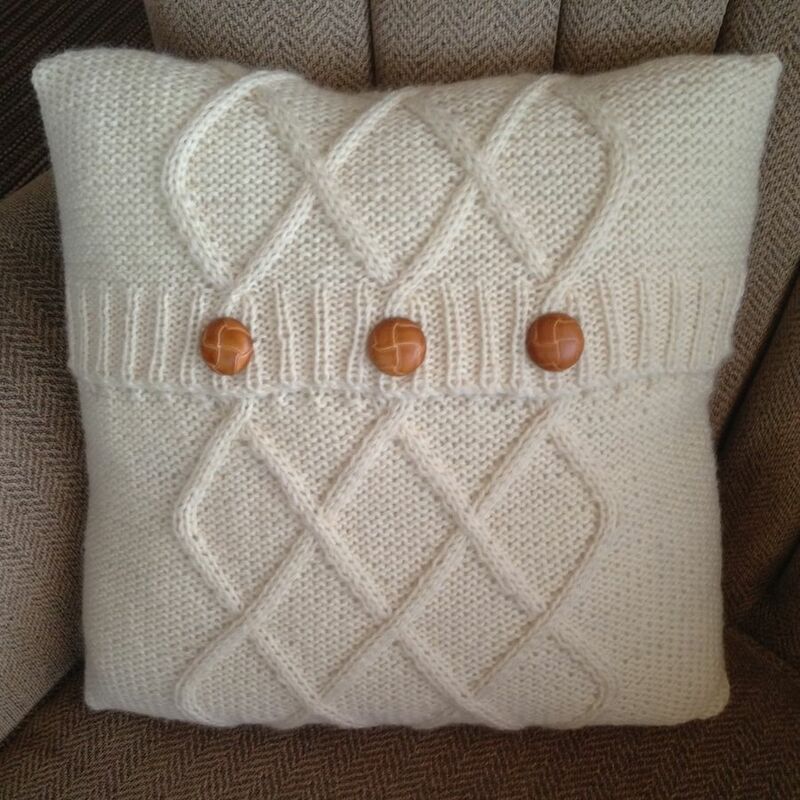 The cushion cover is knit using a worsted/aran/10ply yarn and has three buttons to secure the envelope closure. If you are familiar with using a cable needle and working buttonholes you should have no trouble with this pattern. The pattern will be available for you to download as soon as payment is received ... no shipping and super fast delivery so that you can start knitting straight away!